Whether you’re toiling under harsh florescent lights in a windowless room or a dimly lit cubicle, chances are, you’ve felt the effect poor lighting has on your work. 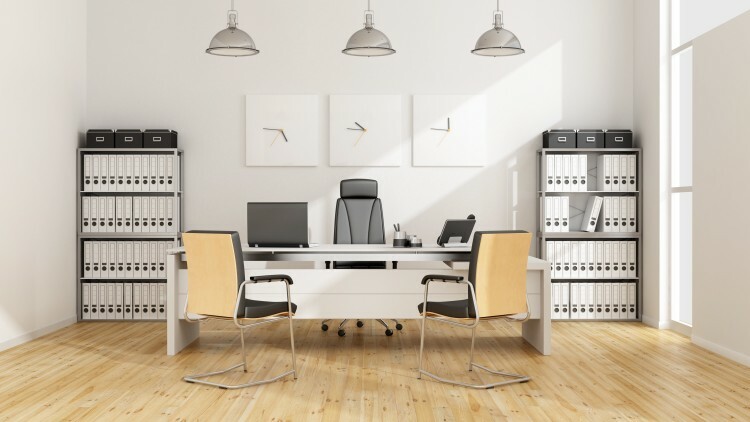 Choosing the correct lighting for an office space is very important because it impacts both productivity and employee morale; it’s much more than just the eye strain your folks warned you about from reading in the dark. Exposure to natural light from windows is the best option for several reasons. Employees are happier working by windows because sunlight affects our mood. We also see things more clearly and avoid the eye strain associated with dim lighting. When you spend at least eight hours a day, five days a week in an office, natural light provides a much needed boost. 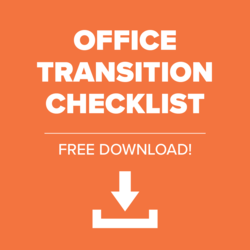 Provide options in your office. Employees focusing on varying tasks may require different lighting throughout the day. Floor and desk lamps provide choices, so someone working on a computer can select less light, while someone reading a physical document may opt for more. Workstations with individual lights and separate controls for lighting are also a good option. If lots of windows aren’t a possibility, think blue. That is, opt for light bulbs that mimic the blue-hued sunlight you’d get through windows. These special light bulbs keep employees feeling happier and more alert and will help avoid eye strain and fatigue. The flip side of this is that too much blue light can disrupt your sleep, just like having too much coffee late in the day. Warmer hued light bulbs may be a better option for later in the day or in a conference room or break room where a more relaxed, calm environment is the goal. 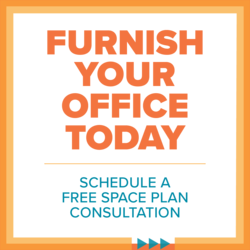 From concept to completion, Rightsize specialists are well versed in selecting the perfect lighting for your office space, along with many other services including space planning, furniture specification and procurement to delivery and installation, facility decommissioning and asset removal. Click here to connect with one of our specialists or call 800-815-8592.